On May 22-23, 2018, John Jay’s Center on Media, Crime and Justice held the second of its special workshops aimed at bringing journalists covering justice, gender issues and related beats together with experts in the field of intimate partner violence. Our first workshop, “Behind Closed Doors,” was held in October, 2016. Details available here. For look at our agenda, please click here. 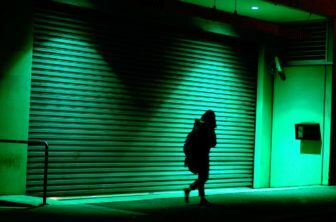 The domestic violence reporting fellowship is one of the ongoing programs administered by the John Jay College Center on Media, Crime and Justice (CMCJ) to help journalists expand their evidence-based reporting on criminal justice topics. Successful applicants should be journalists in the tri-state area working for U.S.-based publications (print, online and broadcast outlets), who cover politics, government affairs, health, crime, police, courts, and related topics. Freelance journalists are also eligible to apply, as long as they fit program criteria. (See below.) Some reimbursement for travel and expenses is available. Do White Men Still Have a Singular Claim to Power in Politics? May 22-23, 2018 Covering Domestic Violence: The Hidden Crime. Workshop for NY-area journalists. For information, click here. July 10-11, 2018 Covering America’s Jail Crisis. Fellowship program for journalists. For information, click here. Cops, Reform & Justice: Symposium for Texas Journalists on Policing.” April 14-15, 2017 at University of Texas, Austin. Series Ryan Gabrielson and Topher Sanders ProPublica.